Hotel Royal Macau is located beneath the famous Guia Lighthouse and overlooks Vasco da Gama Park. A free 2-way shuttle service from Macau Maritime Ferry Terminal is provided. Hotel Royal Macau provides an airport shuttle service from Macau International Airport. The ride takes about 5 minutes. Macau Museum and Mount Fortress are less than half a mile away. The air-conditioned guest rooms at Royal Macau Hotel feature free internet and a flat-screen satellite TV. A minibar and fridge are also included. Large windows in all rooms offer panoramic views of Macau. Guests may exercise at the fitness center or swim at the hotel's indoor pool. The hotel also provides laundry services and a business center. Vasco de Gama Restaurant serves Portugese and local cuisines. Shanghainese delicacies are available at Catalpa Garden Restaurant. Live music and snacks are served at the Lobby Lounge. In central Macau, Hotel Beverly Plaza features spacious air-conditioned rooms with flat-screen TVs and free internet in some rooms. The hotel is a 5-minute walk from Senado Square and Casino Lisboa. Beverly Plaza Hotel is a 15-minute drive from Macau International Airport. Sun Yat Sen Park is about 2 miles from the hotel. The hotel provides a free shuttle service to the Hong Kong Macau Ferry Terminal. Decorated in a modern style, the rooms at Beverly Plaza have a minibar and tea and coffee-making facilities. A personal safe and ironing facilities are included in all rooms. Guests may enjoy a relaxing massage or relax at the hotel's sauna. Day trips can also be arranged at the tour desk. Cheers Café serves a selection of Portuguese, Chinese and Continental specialties. A breakfast menu is also available. Hotel Riviera is on Penha Hill, a 10-minute walk from Macau Centre. Overlooking the Praia Grande Bay, it features 2 dining options, a 24-hour front desk and free parking. Riviera Macau is 320 yards from the Moorish Barracks and 2 miles from Sun Yat Sen Park. Macau Airport is 4 miles from the hotel. The air-conditioned rooms at the hotel have large windows that offer views of the grounds, harbor or sea. Each room comes equipped with a minibar and TV with cable channels. Macau Riviera has a business center and provides currency exchange services. Laundry services are also available upon request. Lijinxuan restaurant serves traditional Chinese and international dishes. Light snacks and refreshing beverages are served at the coffee shop. Hotel Metropole is in the busy Macau City, a short 3-minute walk from Senado Square. It offers modern accommodations with a restaurant and soundproof rooms with a flat-screen TV. The hotel is 4 miles from Macau International Airport. Macau’s vibrant casinos are located a 15-minute walk away. Fully air-conditioned, the guest rooms at Metropole are furnished with a minibar, tea/coffee making facilities and a flat-screen TV with cable channels. The private bathroom has bathroom amenities and a hairdryer. Laundry and dry cleaning services are available at the hotel. Luggage storage can be found at the 24-hour front desk. The hotel’s restaurant serves a variety of Chinese and Cantonese dishes. A 15-minute walk from Guia Fortress, Senodo Square and Macau Museum, the modern Emperor Hotel offers spacious accommodations in central Macau. A 24-hour front desk and free parking are available. Emperor Hotel is a 15-minute drive from Macau International Airport. Macau Ferry Terminal is a 10-minute walk from the hotel. Decorated in neutral colors, rooms at Emperor Hotel are equipped with flat-screen TVs and bathtubs. A minibar and tea/coffee making facilities are included in all rooms. Guests may read email at the business center or arrange day trips at the tour desk. For convenience, the hotel also provides car rentals and babysitting services. Emperor Court Restaurant offers a Cantonese menu. A daily buffet breakfast is also available every morning. With an in-house casino and heated indoor pool, Holiday Inn Macau offers a free shuttle from Hong Kong-Macau Ferry Terminal. Featuring colonial architecture, it has a spa and fitness center. Air-conditioned rooms come with a flat-screen TV, personal safe and minibar. They have an attached bathroom with a bathtub and hairdryer. Holiday Inn Macau is a 15 minute drive from Macau International Airport. It is about 3 miles from the nearby attractions like Ruins of Saint Paul Cathedral and Senado Square. Offering a sauna and hot tubs, Tea Tree Spa also has a range of massages and facial treatments. The staff can attend to business and childcare needs. Western and Asian dishes are served at Frascati Cafe while Oskar’s Bar offers light snacks and beverages. There is also a Chinese restaurant and 24-hour room service. Grandview Hotel Macau offers 4-star accommodation featuring views of downtown Taipa. Offering a casino and a spa, the stylish hotel provides free transfers to Macau Ferry Terminal. Spacious guestrooms feature modern furnishings and are fully air-conditioned. Each room is well-equipped with satellite TV, a minibar and tea/coffee making facilities. The en suite bathroom comes with a bathtub. Grandview Hotel Macau is located 5 km from Mount Fortress and Senado Square, a UNESCO World Heritage Site. Macau International Airport is a 5-minute drive from the hotel. Recreational facilities include a fitness centre and sauna facilities. The hotel also offers laundry and dry cleaning services. Kuan I Hin Chinese Restaurant serves a variety of Chinese dishes and dim sum. International and Asian specialities can be enjoyed at Valencia Restaurant. Guests can also find light refreshments at the Cherrie’s Corner. 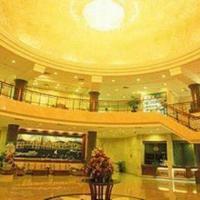 Best Western Hotel Taipa Macau is a convenient 5-minute drive from Macau International Airport. Offering a pool and fitness center, it provides a free two-way shuttle from Macau Ferry Terminal. Famous food and souvenir street Rua da Cunha is within a 10-minute walk from the hotel. Macau Maritime Ferry Terminal is just a 2-minute drive from Best Western Taipa. Macau’s Best Western Hotel features rooms with soothing pastel décor. They come equipped with a minibar and tea/coffee making facilities. Cable TV channels are provided. Guests can enjoy Mocha Slot Club’s offerings of 168 electronic gaming machines. The hotel has a business center that caters to guests’ communication needs. A currency exchange service is available. Local Macau delights and international dishes are served at Restaurante Grande. Red wine and cigars are offered at Bar Grande. For alternative dining options, 24-hour room service is available. A 5-minute walk from the beautiful architecture of Senado Square, Ole London Hotel offers affordable accommodations with free Wi-Fi and flat-screen TVs. It features buffet breakfast and tour services. Hotel Ole London is a 10-minute drive from the center of the city of Nam Van and a 20-minute drive from Macau International Airport. Pleasant rooms at Ole London are air conditioned and equipped with light hardwood floors. They come with tea/coffee making amenities and an attached bathroom with rain shower facilities. Enjoy the convenience of daily newspapers, 24-hour front desk and laundry facilities at Ole London Macau. Start the day with a hearty buffet breakfast at the lobby restaurant, which also offers light refreshments. Room service is available. Waldo Hotel is located in downtown Macau, 1150 ft from the Fisherman’s Wharf. The stylish hotel offers boutique-style accommodations and has 4 dining options on site. Spacious guest rooms feature large windows and most rooms offer views of the bay. Each room is equipped with a work desk, tea/coffee making facilities and a TV with cable channels. Jaune serves Chinese fusion dishes, while Verde Cafe offers Western-style cuisine. Guests can enjoy drinks at the Kuro Wine & Cigar Bar. The hotel serves a breakfast daily. Hotel Waldo is a 20-minute drive from Macau Airport. There is a tour desk to assist guests with travel and car rental arrangements. Laundry and dry cleaning services are available. Enjoying beautiful views of Macau City and the Macau Grand Prix Race Track, the stylish Grand Lapa features an outdoor heated pool, spa and free parking. This luxurious 5-star hotel is a 10-minute drive from Macau International Airport. Spacious air-conditioned guest rooms have modern interiors and fax facilities. Each room has a minibar and satellite TV. Private bathrooms include a bathtub and bathroom amenities. Grand Lapa Macau is a 15-minute drive from the China Border Gate. The Sands Casino and the Fisherman’s Wharf are both a 5-minute walk from the hotel. Guests can enjoy relaxing massage services at the hotel’s spa. Other recreational facilities include a tennis court and a fitness center. Work stations and secretarial services such as translations are also available in the business center. The hotel’s 6 dining options feature Chinese, Portuguese, Thai and local cuisine. Pastries are available at The Cake Shop. Cocktails are served at Vasco Bar. Hotel Guia is a stylish hotel located at the foot of Guia Lighthouse, a 5-minute drive from central Macau and the casino district. It offers affordable accommodations with free Wi-Fi. Offering views of the Guia Track of the Macau Grand Prix, guest rooms at Guia Hotel feature modern interiors and furnishings. Each room is equipped with a minibar and a flat-screen TV with cable channels. The hotel offers laundry and dry cleaning services. Guests can seek travel assistance at the tour desk. Other services include currency exchange and baggage storage. Brilliant Lake Restaurant serves a variety of Chinese cuisine and seafood. Hotel Guai is a 20-minute drive from Macau International Airport. The hotel is a 10-minute drive from Macau and Hong Kong Ferry Terminal. Offering a free shuttle service from the Macau Ferry Terminal, Metropark Hotel Macau has an indoor pool and 2 restaurants. It is less than half a mile from Senado Square and Guia Fortress. Metropark Hotel is a 15-minute drive from Macau International Airport. Attractions such as Sun Yat Sen Park and Moorish Barracks are within 2 miles of the hotel. The air-conditioned guest rooms at Hotel Metropark come with a satellite TV, minibar and a tea/coffee maker. Private bathrooms come with bathtub and shower facilities. The roof-top revolving Rotunda Function Room overlooks Macau City. Guests have free access to the hotel’s hot tub, sauna, and fitness center. Ciao Café serves Asian and Continental dishes. Goldmoon Garden Chinese Restaurant serves Cantonese cuisine and other Chinese specialties. 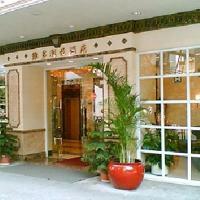 Grand Emperor Hotel is right on Avenida Comercial De Macau, beside Yaohan Department Store. It offers modern accommodations with 3 restaurants, a casino and free Wi-Fi access in business center. Hotel Grand Emperor offers a free shuttle to Macau Airport, which is a 15 minute drive from the hotel. Free shuttles to Ferry Pier and Portas do Cerco (China Border) are also available. Fully air-conditioned, the spacious guest rooms feature elegant decor and furnishings. Each room comes with tea/coffee-making facilities and a flat-screen TV with cable channels. Guests can visit the Emperor Palace Casino or the nightclub in the hotel. The Royal Thai Spa provides massage services. There is also a fitness center on site. The Royal Kitchen serves an international buffet. Chinese cuisine can be tasted at Grand Emperor Court, while the Majestic Robatayaki offers Japanese dishes. After-meal drinks can be enjoyed at the Windsor Lounge. Victoria Macau is located near Triangular da Areia Preta Garden, a short 5-minute walk from the Barrier Gate. It offers modern accommodation with a restaurant, free parking and free wired internet. Guestrooms at The Victoria Hotel Macau are fully air-conditioned. Each room is equipped with a minibar, tea/coffee making facilities and a TV. The en suite bathroom comes with a bathtub. Hotel Victoria Macau offers laundry and dry cleaning services. The tour desk is able to assist guests with travel arrangements. Other services offered include currency exchange and luggage storage. Victoria Restaurant serves a selection of Cantonese and Chinese dishes. The Victoria Hotel Macau is located 8 km from Macau International Airport. Only a 5 minute drive from Macau Airport, the Grand Hyatt Macau offers large rooms, an outdoor pool and a 24-hour fitness center. It features a spa and free Wi-Fi. The modern rooms at the Macau Grand Hyatt come with city or river views. They include a 42-inch flat-screen TV and spacious twin basin bathrooms with a rainshower. Guests can walk in the outdoor garden, enjoy a treatment at Isala Spa, or relax in the steam room or bubble bath. The Grand Hyatt offers private pool-side huts. Grand Macau Hyatt features 5 restaurants, a bar and a lounge. The Beijing Kitchen serves Northern Chinese specialties, while Mezza9 offers Macanese dishes. The Grand Hyatt Macau is a 5 minute drive from the Taipa Ferry Terminals. The free City of Dreams shuttle service drives between the airport, the ferry terminals and the hotel. The 4-star Pousada Marina Infante is conveniently located in Taipa Island, within a 15-minute drive from Macau International Airport. It features a fitness center, an indoor heated swimming pool and a business center. Pousada Marina Infante Hotel is just a 15-minute drive from Heng Qin Island. It provides free parking and complimentary transportation to both Macau and Taipa ferry terminals. All rooms are air-conditioned and have carpeted floors. They include a flat-screen cable TV, a safe and a work desk. They have modern bathrooms fitted with a bathtub, a hairdryer and toiletries. Fortune Palace Restaurant serves Cantonese cuisine, and Lakeview Cafe features Portuguese, European and Asian specialties. Directly on Cheoc-Van Beach, the rustic Portuguese-style Pousada De Coloane features an outdoor pool and free Wi-Fi in public areas. It is a 15 minute drive from the casinos on Cotai Strip and a 10 minute drive from Macau International Airport. Enjoying the quiet peace of nature, all air-conditioned rooms have a private balcony overlooking the South China Sea or mountains of Mainland China. All come equipped with a cable TV, minibar and tea/coffee making facilities. Bathrooms have a bathtub. Pousada De Coloane is a 20 minute drive from Macau Ferry Terminal. Free parking is available on-site. The on-site restaurant serves authentic Portuguese food and wine in traditional Portuguese setting. A business center and room service are available. Luggage can be stored at the 24-hour front desk. Hotel Okura Macau is a luxurious 5-star hotel located within the Galaxy Macau Resort, a 5-minute drive from Macau International Airport. It offers 2 swimming pool and free Wi-Fi access. The guest rooms feature elegant interiors with modern furnishings. Each well-furnished room is equipped with a minibar, tea/coffee making facilities and a 42-inch flat-screen TV with cable channels. The hotel’s beauty salon offers massage services. Other recreational facilities include a fitness center and sauna rooms. There is also a seasonal outdoor pool on site. The Terrace Restaurant serves various fusion dishes. Authentic Kaiseki meals and sushi can be found at the Yamazato Restaurant. Sweet specialties from Japan and Macau can be enjoyed at the Nagomi Lobby Bar. Galaxy Macau - Hotel Okura Macau is a 10-minute drive from Macau Ferry Terminal. Car rental services are provided upon request. Golden Dragon is a stylish 4-star hotel located a 5 minute walk from Macau Outer Harbour Ferry Terminal. It also has a fitness center. Macau International Airport is a 10 minute drive from Golden Dragon Hotel. It is one mile from Macau Museum and 1.5 miles from Sun Yat Sen Park. Spacious guest rooms are equipped with a minibar, tea/coffee maker and a TV with cable/satellite channels. The private bathroom comes stocked with a hairdryer and bathroom amenities. Dragon Palace serves a variety of Dim Sum dishes. Western and Asian cuisine can be enjoyed at the Villa Picasso. Guests can also taste Japanese food at the Tatuda Restaurant. Hotel Golden Dragon offers spa services and has sauna facilities. Laundry and dry cleaning services are available. There is also a business center with fax and photocopying services. Galaxy Hotel offers luxurious 5-star accommodations within the Galaxy Macau Resort, across from Macau’s ‘Old Taipa Village.’ It features the world’s largest Sky Wave Pool and offers free Wi-Fi in rooms. The lavishly decorated guest rooms provide a minibar, tea/coffee-making facilities and a 42-inch flat-screen TV with cable channels. The private bathroom features a walk-in stone shower with a separate bathtub. Terrazza a Mediterranean features signature dishes from southern Europe and offers a variety of fine wines. The world’s first Whiskey Bar & Lounge - The Macallan, offers a selection of over 350 types of whiskeys. Galaxy Macau - Galaxy Hotel has a casino and various retail shopping options. Guests can take a walk in the oasis garden or spend a leisurely afternoon at the Wave Pool Beach. Rua do Cunha is an 8 minute walk from Macau Galaxy. The hotel is an 8 minute drive from the Lotus Port Border Gate. Part of the Galaxy Macau resort complex in Cotai City, the luxurious Banyan Tree Macau is only a 15-minute drive from Macau International Airport. Featuring a pampering spa, it also has beautiful indoor and outdoor pools. Traditional Chinese architecture and design elements can be found in all modern suites. Featuring high ceilings and red color accents, suites come equipped with a flat-screen TV and well-stocked minibar. Free Wi-Fi is included. Banyan Tree Macau is a 10-minute drive from Taipa Ferry Terminal and Macau Heliport. Free parking is available. Guests can relax in the private cabanas surrounding the outdoor pool, or exercise in the fitness center. Souvenirs and retail items are sold at the Banyan Tree Gallery. The resort has a 24-hour front desk and a business center. Banyan Café serves Southeast Asian and international cuisine, and Belon Oyster Bar & Grill specializes in seafood and barbecue dishes. Drinks can be enjoyed at Cabana Pool Bar or Banyan Lounge. City of Dreams Hard Rock Hotel features exciting and luxurious getaways with an in-house casino, a large outdoor pool and a day spa. Home to popular shows like the House of Dancing Water and Taboo, it also provides stylish rooms with spacious interiors and premium spa toiletries. Featuring retro-style furnishings and floor-to-ceiling windows, the warmly lit rooms come equipped with free Wi-Fi, a home theater system and an iPod dock. Other comforts include an armchair, a bathtub and minibar. City of Dreams - Hard Rock Hotel has shuttles from the airport and ferry terminal. It is a 10-minute drive from Macau International Airport and a 20-minute drive from Macau Maritime Ferry Terminal. Guests can enjoy a relaxing massage and use of a hot tub and sauna at the spa. The hotel also houses a well-equipped fitness center and concierge and tour desks. Dining highlights include a daily buffet breakfast and pool-side barbecue buffets at Wave restaurant. There is also a bar and 24-hour room service. A 10-minute drive from the Hong Kong-Macau Ferry Terminal, Fu Hua Guang Dong Hotel Macau offers air-conditioned rooms. The hotel has a Chinese restaurant and 24-hour front desk. Fu Hua Guang Dong Hotel Macau is within a 15-minute walk from the Ruins of St. Paul’s Church, the Fortaleza do Monte, Macao Museum and Dr. Sun Yat Sen Memorial House. Macau International Airport is a 30-minute drive away. Featuring modern decor, all rooms come with a cable TV, minibar and tea/coffee making facilities. Private bathrooms have shower facilities. Laundry services and fax facilities are provided by the hotel. Room service is also available. Featuring modern Asian-inspired accommodations housed in a 38-floor tower on the lively Cotai Strip is the Holiday Inn Macao Cotai Central. It features an outdoor pool, health club and tranquil gardens. It is at the heart of Sands® Cotai Central, Macao's integrated resort featuring a variety of leisure, shopping and entertainment options. Bright, air-conditioned rooms with its floor-to-ceiling windows come equipped with a flat-screen TV and desk. The private bathroom has a shower, bathtub and free toiletries. The health club is fully equipped with a fitness center, hot tub and sauna. Guests can also enjoy yoga and Pilates lessons. Activities for children are also available. The Pool Cafe overlooks the Cotai Strip from its terrace seating and has a selection of beverages and an international menu. Afternoon tea and refreshments are served at the Lobby Lounge. Macau International Airport is a 5-minute drive away, while Macau Taipa Ferry Terminal is less than a 10-minute drive from the hotel. A 5 minute walk from Ruins of St. Paul, Ole Tai Sam Un Hotel offers stylish air-conditioned rooms with an iPod docking station and free Wi-Fi. The staff at the 24-hour front desk can assist guests with travel arrangements and luggage storage. The property is a 10 minute drive from Macau Ferry Terminal and a 15 minute drive from Macau International Airport. St. Dominic's Church is half a mile away. Cozy rooms at Ole Tai Sam Un Hotel feature hardwood floors and neutral tone decor. Each room comes with a flat-screen TV, a telephone and an electric kettle. The private bathroom has a hairdryer and shower facilities. Selected rooms have a bathtub. The hotel’s restaurant serves a great selection of breakfast items. Drinks can be enjoyed at the bar.